In the 1990s, during the heat of the Liberian Civil War, the State of Rhode Island opened her doors to thousands of Liberian refugees. Many children of Liberian parentage enrolled within the Primary, elementary, junior and senior high schools within Rhode Island, and many of these children enrolled within the providence School System. Many have gone to colleges and universities in Rhode Island. Impressively, some of youth have graduated as teachers, lawyers, nurses, etc. The quality of education that they have received and continue, is by far superior to the type of education their brothers and sisters are receiving back in Liberia. Programs like the Talent Development, at the University of Rhode Island and the Upper Bond Program at Rhode Island College, are providing the possibilities for many minority children, especially Liberian to obtain post-secondary education. And thank God for RI schools, especially, the Providence School Department whose elementary, junior and senior high schools laid the foundation that made it possible for these children to graduate from college successfully. 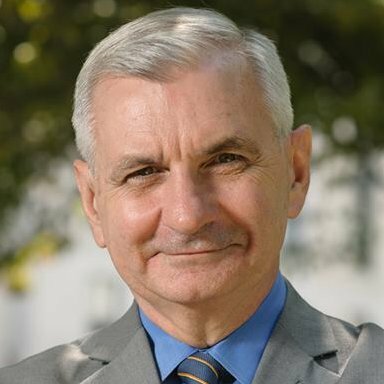 Senator Jack Reed has endeavored, along with other senators, to adjust the status of Liberians living legally in the United States and prevent potential deportations. U.S. Senator Jack Reed (D-RI) has and continues to champion the cause of Liberian refugees, especially residing in Rhode Island. During the President Obama’s administration, Senator Reed and other senators urged President Obama to extend Deferred Enforced Departure (DED), in September 30, 2016. Liberian refugees in the United States have been very helpful to the economic development of Liberia through remittances to family members. Looking at the long queues in Banks in Monrovia, indicate that most Liberians relied heavily from the remittances that Liberian Refugees continue to send to their family members. The World Bank’s report of 2012, relevant to global remittances, pointed out that Liberians in the Diaspora out-beat per GDP other Africans living abroad by “remitting $378 million in 2012, an increase of $18 million from 2011 remittance of $360 million, a more than 31% of global remittances and third of Liberia’s GDP in 2012” (The New dispensation, 6 February 2013). The ‘USD Explorer’ also, provided its statistical information relevant to the remittances received by Liberia during the period of 2011 through 2015. Liberia accordingly, received $360 million in 2011, $516 million in 2012, $383 million in 2013, $495 million in 2014, and $693 million in 2015 as remittances from other countries (here). These statistics demonstrate and show that Liberia as a nation has benefited economically from its nationals in the diaspora. Even one of Liberian newspapers, FrontPage Africa echoed in one of its publications, “Rhode Island has one of the largest populations of Liberians per capita, and Senator Reed has worked for years to allow this community to legally reside in the U.S. Over the years, Senator Reed worked with the White House, Homeland Security, and the State Department on behalf of the Liberian community to secure several DED and TPS extensions from the Obama and prior administrations”. On March 15, 2018, Senator Jack Reed once again passionately appealed on the United States’ floor, relevant to Deferred Enforced Departure for Liberian Refugees. “Madam President, I rise, as I have many times for nearly two decades, to shed light on the long struggle of Liberian refugees in the United States, and to make the case for this administration to extend Deferred Enforced Departure, or DED, for this population before they face potential separation from their jobs and families when their current DED designation expires on March 31. I also call on my colleagues to take up and pass the Liberian Refugee Immigration Fairness Act, which I offered in some form for as long as I have served in this body, to end nearly 30 years of uncertainty by finally giving these Liberians the opportunity to apply for permanent residency and a pathway to citizenship. I also would like to take a moment to express my gratitude to those advocates who have stood with me as I have worked for a solution for Liberians in America, including my Rhode Island colleague, Senator SHELDON WHITEHOUSE, as well as our colleagues from Minnesota, Senators KLOBUCHAR and SMITH. The case of these Liberians is a tragic and historically unique situation. In 1989, a seven- year civil war broke out in Liberia that would claim the lives of over 200,000 people and displace more than half of the Liberian population. This conflict devastated Liberia—halting food production, collapsing the nation’s economy, and destroying its infrastructure. By 1991, an estimated 14,000 Liberians fled to the United States seeking refuge from the conflict. 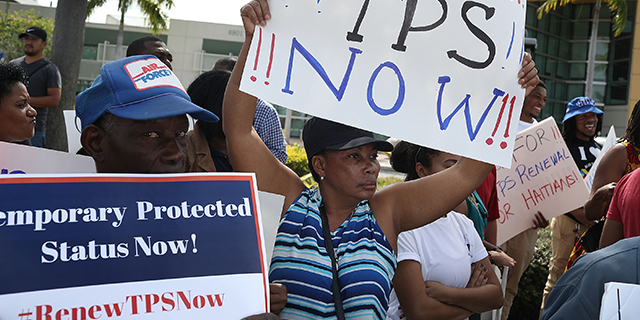 In March of that year, the Attorney General granted them the opportunity to register for temporary protected status, or TPS. Every subsequent administration has renewed TPS for Liberians each year until the end of the first civil war, but the prospects for a safe return ended when Liberia plunged into a second civil war from 1999 to 2003. This horrific conflict ended with the departure from power of former President Charles Taylor, who is currently serving a fifty-year prison sentence, issued by the Special Court for Sierra Leone, for war crimes. faced the challenge of responding to the Ebola virus outbreak in West Africa. Liberia had fewer than 200 licensed doctors to contend with the outbreak among the country’s population of over 4 million people. Throughout this succession of conflict and tragedy, Liberians who sought refuge in the United States have had the option to remain here lawfully under TPS or DED while conditions remained unstable in Liberia. This is not amnesty. In order to participate, these Liberians are required to pass periodic background investigations, pay hundreds of dollars in fees, and stay out of trouble with the law. Many of these Liberians who have been through this process for decades are perhaps among the most vetted and rigorously examined individuals in the United States today. They have also received work authorizations, enabling them to work and start businesses, pay taxes, and raise families. Many have full-grown American citizen children who attend American schools and serve in our military. At the same time, they have not been afforded earned benefits available to American citizens, so they are responsible for paying their taxes, they are responsible to conduct themselves as law-abiding citizens, but they are not building up any type of Social Security benefits or any other benefits like other American workers are. In the years since 1989, they have become our neighbors, our friends, and an important community that contributes a great deal to the diversity and prosperity of States like Rhode Island. Today, Liberia has only just completed its first democratic transfer of power in decades, and there are still serious concerns about the Nation’s ability to maintain peace and deliver essential services to its population. influx of newcomers from the United States. This is why, each time Congress has taken up comprehensive immigration reform—and more recently discussed these issues in the context of the Deferred Action for Childhood Arrivals, or DACA, Program—I have worked to ensure that any adjustment of status provision includes relief for Liberians who have become Americans in every way except on paper. Congress continues to debate the best path forward for Dreamers, TPS recipients, and comprehensive immigration reform, but Liberians cannot wait another month or another year. They have just over 2 weeks before their time is up. At the very least, the Trump administration should extend DED for this population for 3 additional years while Congress debates a path forward on comprehensive immigration reform. have made their homes and raised their families. We have long since reached the point where simple justice requires that Congress extend this option to these Liberians. On several occasions, Congress has granted temporary residents the opportunity to apply for permanent residency when their stays in the United States were prolonged by dangerous conditions in their home countries. In 1988, Congress passed a law offering permanent residency to temporary residents from Poland, Uganda, Afghanistan, and Ethiopia. Following the events in Tiananmen Square in China, Congress permitted over 52,000 Chinese nationals to apply for permanent residency. The Nicaraguan Adjustment and Central American Relief Act, or NACARA, permitted the same for 259,000 nationals of Nicaragua, Cuba, El Salvador, and Guatemala. The Syrian Adjustment Act permitted 2,000 Syrian Jews to obtain permanent residency. The list goes on. The fact is that there is ample precedent for providing relief for this relatively small Liberian population. Like past Congresses, this Congress must acknowledge the simple fact that the United States is now home to these law-abiding and taxpaying Liberians. To ignore them or to say otherwise not only threatens to break up American families, but also to turn away a group whose story is quintessentially American. They fled violence and disease to come here. They worked hard and raised families here. They followed our laws and subjected themselves to rigorous screening and vetting. They deserve the opportunity to make their own decision on whether to stay here or return to Liberia. I can say with confidence that Rhode Island will feel their absence if this Liberian community were forced to leave after contributing to our communities for so long, and our country would be poorer for their loss. dream. They both led exemplary lives and endeavored to give back to their newfound homes through public service in the form of military service and as a member of our local police force in Providence. Both of them served with distinction, and our State tragically lost both of them in the line of duty in 2012. They are emblematic of the extraordinary contributions that Liberians have made to my State, and no fulsome discussion of what Liberians have meant to us is complete without mentioning both of these gentlemen by name. I strongly urge President Trump to do the right thing and extend DED to Liberians living legally in the United States. I also urge my colleagues to take up and pass the Liberian Refugee Immigration Fairness Act and put an end to uncertainty for this population after decades of displacement. As Liberians, we are grateful to the State of Rhode Island and its leaders, for profiling the plights of Liberian refugees and for rendering quality education to their children (Liberian refugees). The schools have planted a seed, that years from now, the people of Liberia will be blessed with the presence of some of these children, when they returned to the land of their forefathers, with their knowledge of technology and professionalism.